Another photograph of Woodhenge, Amesbury, Wiltshire - the side view! Ok so it.s circular. Still this view is different from the panoramic version of the photograph of Woodhenge, Wiltshire, posted the other day. This view makes sense. As lovely as the shot with the sun setting is, this side view from very slightly higher up providing more emphasis on Woodhenge rather than the sunset works better for me. 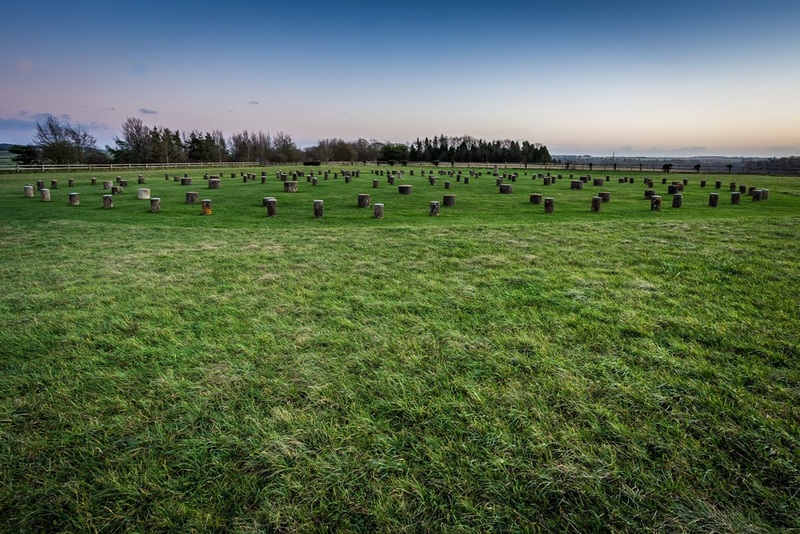 It is a better photograph of Woodhenge. Not that I don't love the sunset shot with those great warm colours and that sun dead in the middle. Woodhenge is a great subject. And side on to the sunset I was getting great light. Writing about my own photography is such a great thing. As I write this I have just thought that I should have tried a side shot from this viewpoint using my circular polariser. Not an effect you can replicate completely in Photoshop - it changes what the sensor in your camera records. Practisinf and experimenting, and thinking is all part of he never ending learning process that is photography. I hope you like this picture of Woodhenge. And I would like to thank you for reading this blog post. Once I have sorted out the subscription thing you will be able to subscribe to my blog, and/ or my monthly wrap up of what I have been writing about. Obviously this job is behind creating new stuff in Photoshop!!! Please visit my website where you can find out lots more about me and my photography work.